Dilip Vairagkar | I.K International Publishing House Pvt. Ltd.
is M.Tech in Production Technology from IIT Kharagpur (1975). He has experience of over 35 years in heavy engineering industry. He has executed more than 500 boilers & power plant projects in his career. 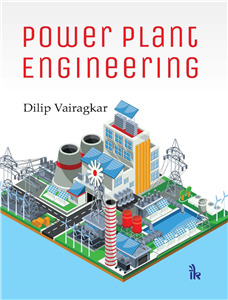 Now, he is a visiting faculty to some colleges on the subject of Power Plant Engineering. He is also working as a management consultant.